Pawar Travels provides you cab facility from Pune to Vani Saptashrungi Temple in western ghats. Sahyadri Range is also called as Ajanta satmala range. The total distance from Pune to Vani Saptashrungi is 214km the journey takes about 5hr to reach the temple. The temple is located in Nanduri,kalwan taluka a small village near nashik in India.Devotees visit this place in a large number every day. 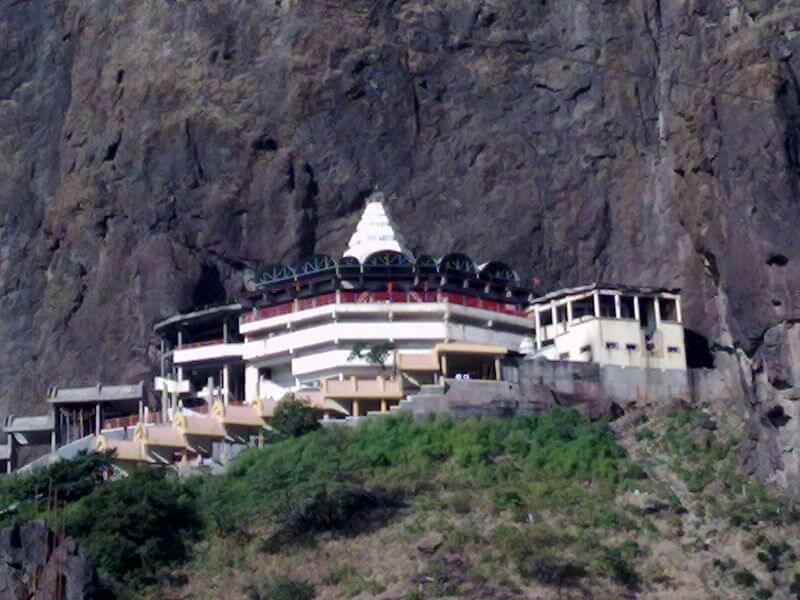 The Saptashrungi temple is one of the 51 shakti Peethas. There are 3 and a half Shakti Peethas in Maharashtra those are Mahalakshmi temple at Kolhapur mounted on a stone platform. The image of goddest Mahalakshmi is carved in black stone with a height of about 3 feet high. The total distance from Pune to Mahalakshmi temple is 293 km. A Shri Yantra is also carven on the walls in this temple a lion made up of stone the vahana of goddest Mahalakshmi stands behind the statue which holds an symbolic value. ,tuljabhavani Temple at tuljapur in osmanabad district of Maharashtra. The second amongs all shakti Peethas is Tulja Bhavani which is the family deity of Bhosale royal family. The distance from pune to Tuljapur is 291 km. The most important festival of the Saptashrungi temple is chaitrotsav, the chaitra festival which starts on Ram Navami and ends on Poornima which is the biggest day of the festival. The Renuka temple at mahur and the Saptashrungi temple. Sapta meaning seven and Shrunga meaning Peaks thus the temple is surrounded by 7 hills. The Goddest had taken form of durga Devi and trend the Demon Mahishasura who disruptive the universe then after it is believed Goddest to be settled hear. The forests in this hills are considered to have medical hearbs. There is a cilculuar path where the devotees takes Parikrama around the temple. The Important festival is Navratri which is consecrate to worship goddest Durga. Though there are 5 types of navratra that comes every year but the most popular is Shrad Navratri. Diwali is celebrated 20 days after Navratri. The 10th day is reffered to as Vijaydashmi or Dussehra. The dates of the festivals are adapted according to the lunar calander on which each women follow tradition to wear three colors of cloths in navratri.